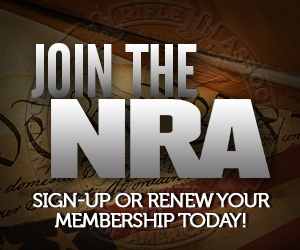 The NRA is also seemingly cranking up its fundraising efforts, too. Just last weekend, I got a telemarketing call from one of their call center representatives asking me to join. (This is the first time I have ever had a telemarketing call from the NRA in my whole life.) I told him that I was already a member, but that he ought to call my cousins and in-laws to ask them to renew their memberships, because I think that they all may have expired some time or another.